Paul Stahura is the CEO and Co-Founder of Donuts Inc. He is a former President and Chief Strategy Officer, and a member of the board of directors, of Demand Media, Inc. Demand Media is the parent company of eNom, Inc. Paul launched eNom in 1997 from an ISDN line in his garage in Redmond, Washington. After the Demand Media acquisition in 2006, Paul remained the CEO of eNom and held the aforementioned positions at Demand Media until 2009, after which he left the company. Mr. Stahura's current venture, Donuts Inc., is the single largest new gTLD applicant; the company has submitted a total of 307 applications for new TLDs. Paul Stahura has over twenty years experience in the software development industry, with the most recent ten of those years spent in the Internet and DNS space. He is currently a board member of AboutUs.org. Paul Stahura is a member of the ICANN Whois Task Force. He was elected to serve on the ICANN Nomination Committee by the Registrar Constituency in November, 2006. Mr. Stahura, on behalf of eNom, was involved in the industry complaints and actions against Verisign's Wait Listing Service in 2003. In September, 2009, Paul Stahura testified before the U.S House Judiciary Committee’s Subcommittee on Courts and Competition regarding new gTLDs. He recommended that the government continue on its trajectory of non-intervention with ICANN and allow new gTLDs to be approved by the ICANN Board. He made the case that the new extensions would foster further growth and innovation on the Internet, and that stifling this was not in the government's, or the international Internet users', best interests. At ICANN Lisbon he suggested an intriguing solution regarding the accessibility of Whois information. That is, to encrypt more sensitive Whois data and only allow certain legal entities to access that through use of a specific key, the most basic of information would still be available to the general public. In a letter dated December 8th, 2011, Paul Stahura, along with twenty-seven other domain name industry representatives, wrote to Sen. Jay Rockefeller and Sen. Kay Bailey Hutchison to support ICANN's new gTLD program, in response to the Senate Hearings taking place on the same day. They supported ICANN's argument that the program would be innovative and economically beneficial, and noted that the program took a diverse group of international stakeholders years to develop. The letter can be found here. 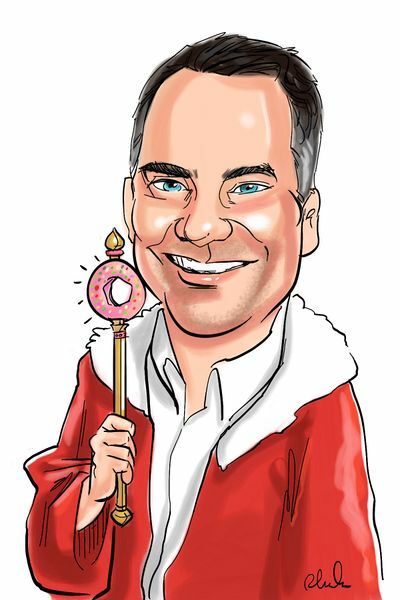 Donuts began in stealth mode in 2011; it was correctly assumed to be a new gTLD venture, and the initial directors included Robert Verratti and Chris Pacitti, both of whom are with diverse investment firms. Initial exectuives, along with Mr. Stahura, included Richard Tindal, Jonathon Nevett, and Daniel Schindler. The early SEC filing notes that $1 million in equity financing had been raised, and that the company was continuing to raise funds. Given the staff, backing, and timing of the company it was assumed that Donuts would be involved in New gTLDs - though initial reports and guesses at the company's involvement were wildly off base - such as a report that the company was applying for 10 new gTLDs. The company went on to raise $100 million in capital and apply for 307 new gTLDs. Paul is extremely enthusiastic about new gTLDs and says that he cannot pick a "favorite" new gTLD, and that he likes any and all new gTLDs as each one represents an expansion of the Internet that he and others have been waiting for 15 years to see happen. His day-to-day activities at Donuts prior to the closing of the application deadline mainly involved raising further financing and creating the list of TLDs to apply for. His responsibilities continue to revolve around raising financing, though he is now also involved in planning for implementation and planning undisclosed "innovative stuff" for the industry. Paul has never considered himself a domainer, and only began buying a small amount of domain names after meeting prolific domainer, Frank Schilling, in 2004. Despite this, he has been nominated for "2012 Domainer of the Year". His current potfolio is around 50 names, though he notes the highest return on any investment he has ever made was selling clear.com, which he purchased for $6,000 out of bankruptcy. He named eNom as such because the domain "ename.com" was already taken. In 1997, 7 years after the launch of eNom, it became the largest and most active domain distribution reseller network in the domain industry, with over 8.5 million domain names on the eNom platform. It has been recognized as the second largest domain name registrar in the world, and was rated the best registrar for resellers by Name Intelligence five years running. Prior to eNom, Paul was a Principal in a company that performed consulting services for Fortune-500 clients with enterprise-wide development, database, and complex system architecture and PM needs. Paul and his partners sold the 60-employee company in 2000. Paul holds a Bachelor of Science and a Master of Science degrees in electrical engineering from Purdue University. Although he founded and ran the second most successful registrar in the world, he admitted in his testimony to congress that it had always been his dream to run a registry. Paul was featured as the King of Spades in the ICANN 50 - London Playing Card Deck, along with the 3 other founders of Donuts; Jon Nevett, Dan Schindler, and Richard Tindal, who were Kings in the deck as well. This page was last edited on 4 August 2014, at 15:44.